Our schools start back super early each year. I feels like we don't get much of a summer, but we do get a lot of breaks off during the school year and while I would love a longer summer, the breaks are nice. 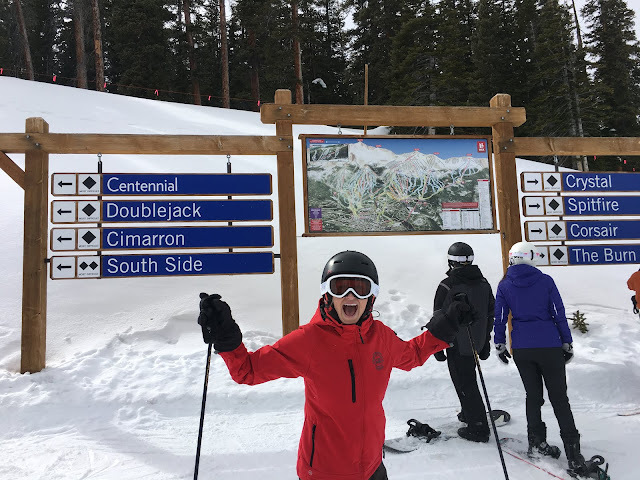 Last week was Winter Break for our kids and we took a wonderful trip out to Colorado for a family ski trip. We decided to go back to Breckenridge again this year since we had so much fun there last year. 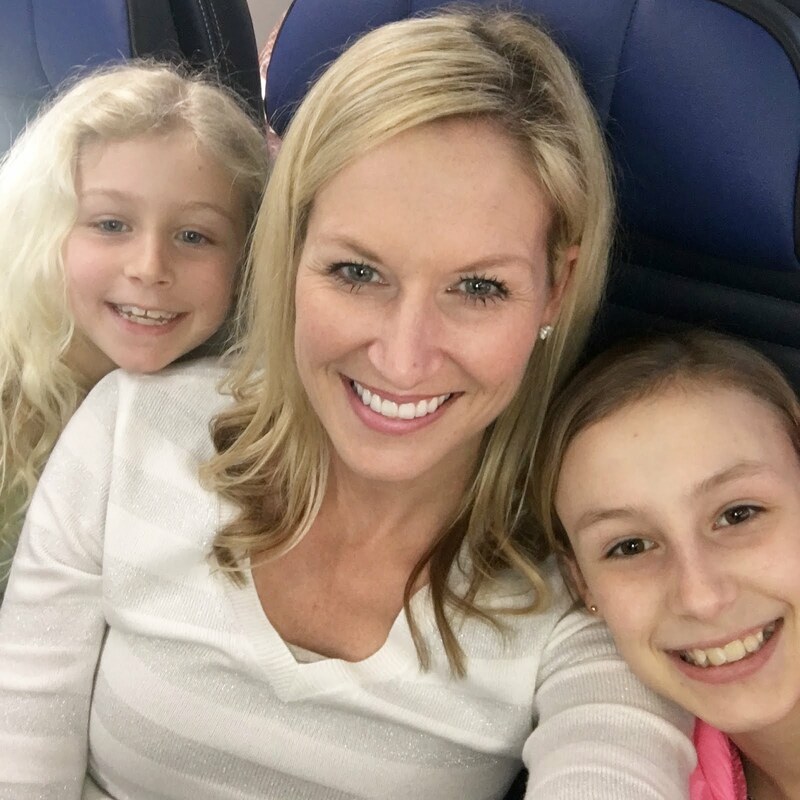 The kids were so excited on the flight out and couldn't wait to get there. We flew United and if any one ever flies that airline I would highly suggest downloading their app before you get on the plane. They have a ton of free shows and movies you can watch right from the app and it kept my kids entertained the entire 3 1/2 hour flight! 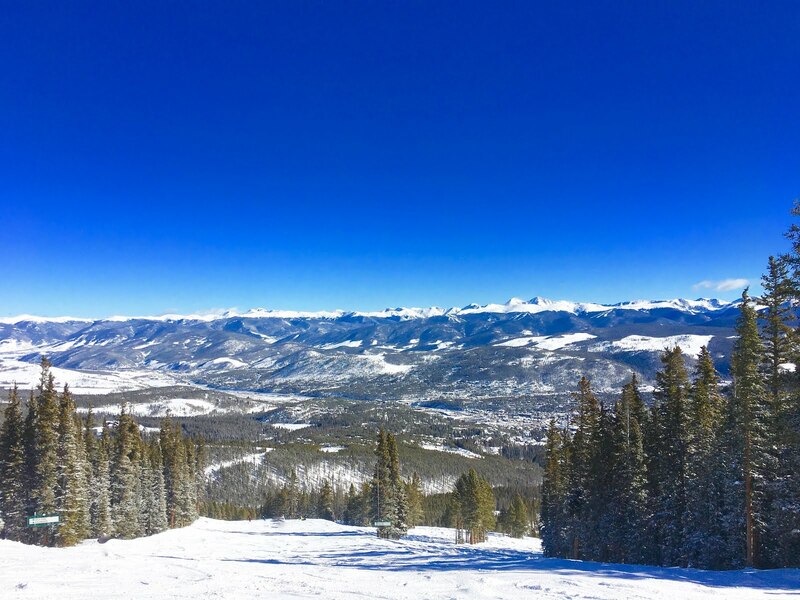 We arrived in Colorado pretty late that evening and settled in quickly because the next day we knew we had to be up early to get our ski rentals, lift tickets and meet up with the kids' ski instructor they would be skiing with for the first two days. I'm going to share more about this at the bottom of the post, but I highly recommend private ski lessons! The kids did great and after a quick warm up, picked up where they had left off last year. That allowed the Mr. and I to ski all over the mountain, and that we did. Here is the thing. I don't love to ski. It's my Mr. who does and we want or kids to learn so I do it. He always tells me I'm better than I give myself credit for and I have been skiing for years. I just get really cold and would prefer to be sitting on a beach somewhere tropical. 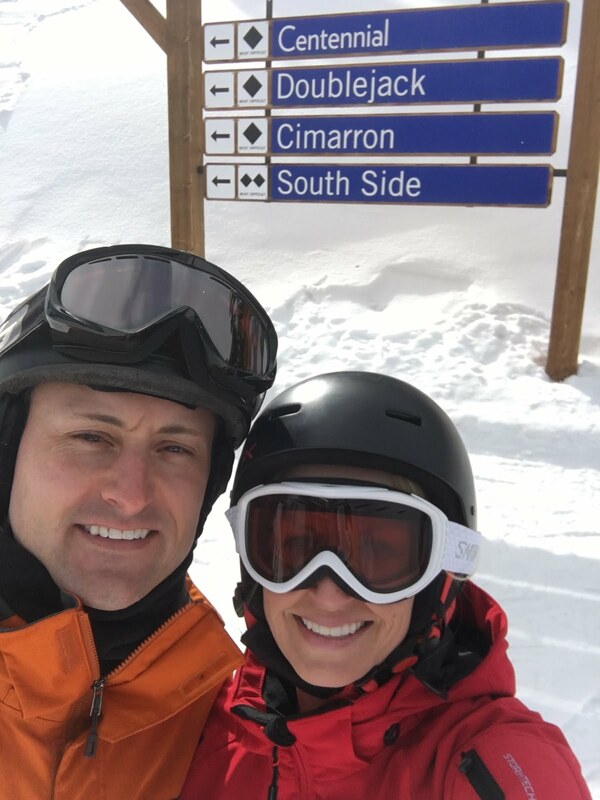 However, on this day, I had THE best time skiing with him. We ended up at the top of one lift only to realize that every single run was a black diamond. I knew I could do it, but I thought I might not enjoy it. I usually like to take it easy on the blue runs, but I actually LOVED it and wanted to go up that lift again. This amazing view didn't hurt either. 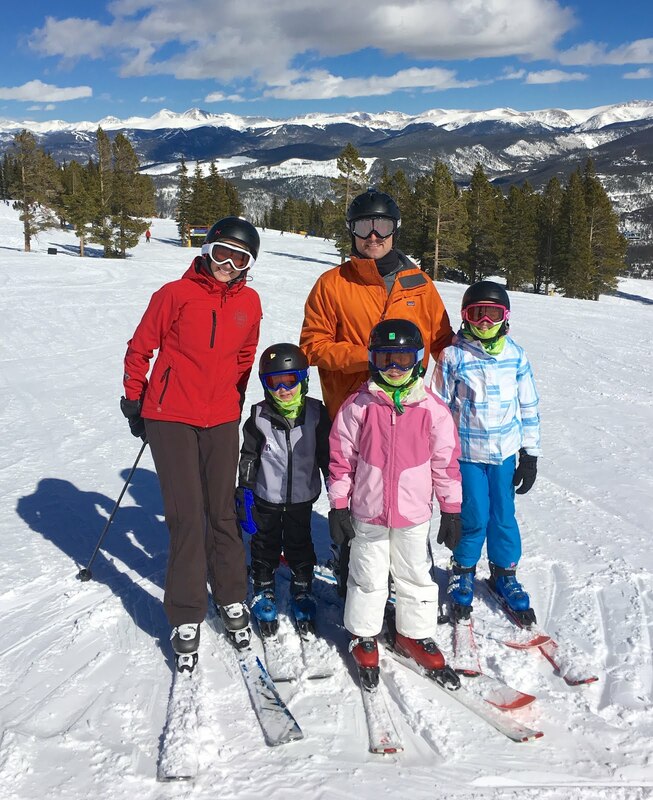 Shortly after that our awesome ski instructor and the kids found us on the top of the mountain and suggested a family photo. 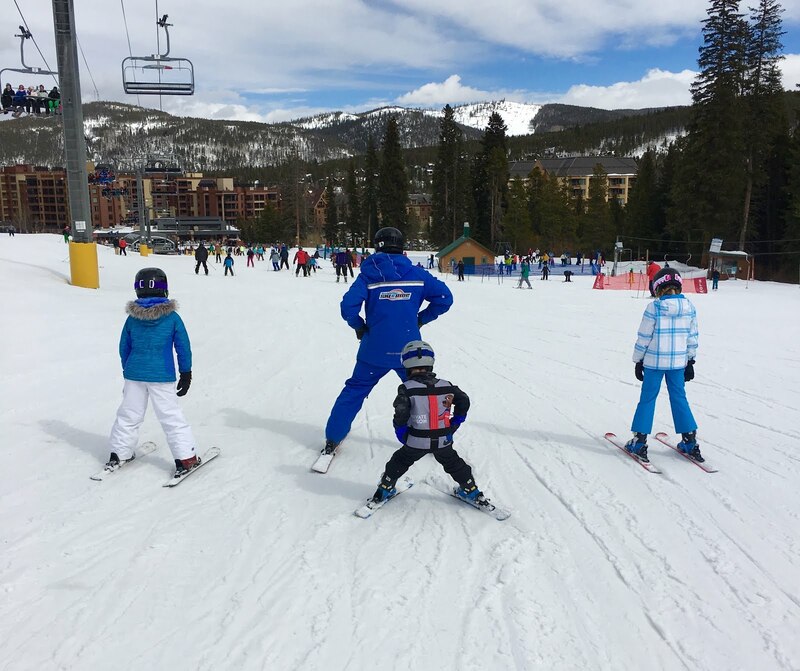 We skied down with the kids a bit and got to see what a great job they were doing! 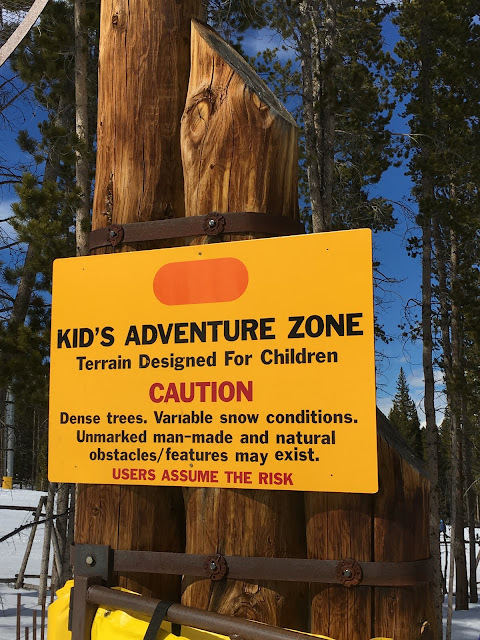 They absolutely loved doing the adventure terrain parks designed just for kids with tunnels, jumps and passes through the trees. We rode the lift back up with them and went in for lunch together. Blondie wasn't feeling great, but she rallied and decided to ski the rest of the afternoon. When we picked the kids up that day I took one look at her and could tell she was done. The altitude had really gotten to her and I knew it was because we arrived so late the night before and were on the mountain all day bright and early right away. She had no time to adjust, but thankfully by later that evening she was feeling better. The next day the kids skied with their instructor again and we could not have been more impressed with him. He was great with the kids, so sweet, taught them a ton and made it fun! He took them to adventure spots, got them skiing blue runs, showed them a special place on the mountain called "jump city" and really made it great for us for the rest of the week because the kids were comfortable skiing all over the mountain with us, which was the whole point of our trip...family adventure and making memories. That night I received a text from him and I was blown away. 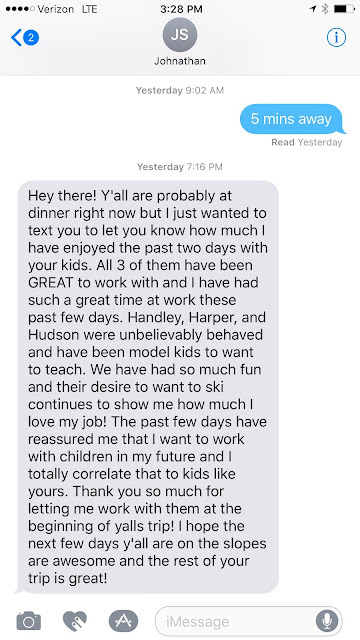 His kind words about my kids almost brought me to tears. I was so appreciative that he went out of his way to let me know how he felt about the kids. You just never know how they act when you aren't around and this was such a sweet reminder that we must be doing something right! We probably could have taught our kids how to ski, but ski school is definitely the way to go. The kids are much more willing to have a good attitude about learning to ski with someone other than their parents. I can guarantee that! 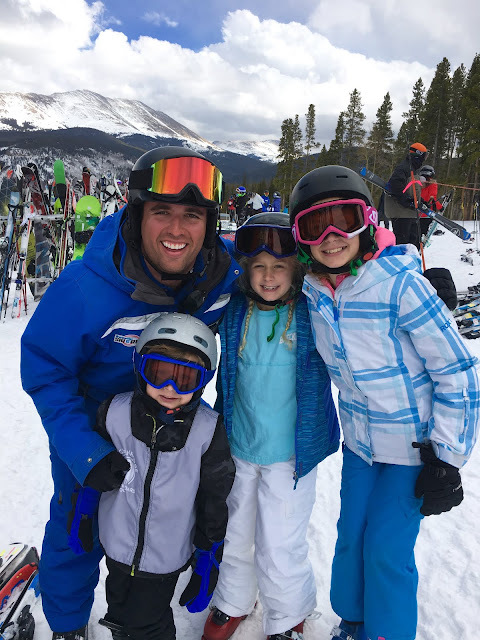 The days we skied with our kids on our own we quickly learned that ski lessons are worth every cent! Less pouting, less tears when they fall and more fun for everyone when someone who does this for a living teaches them. 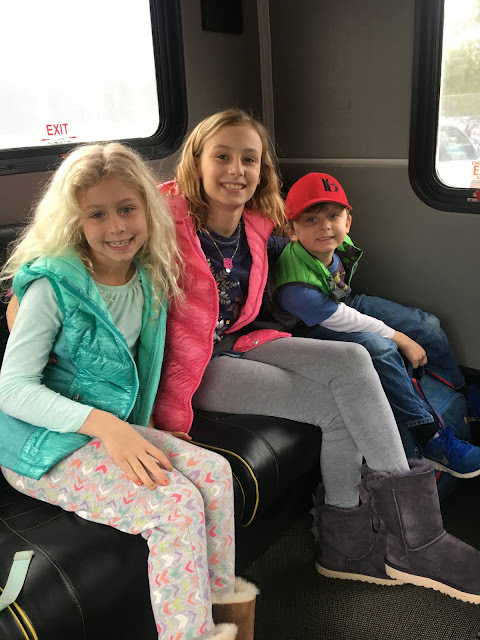 Plus, the kids love it because they get special treats, hot chocolate stops, they get to skip lift lines and they get all sorts of special privileges. 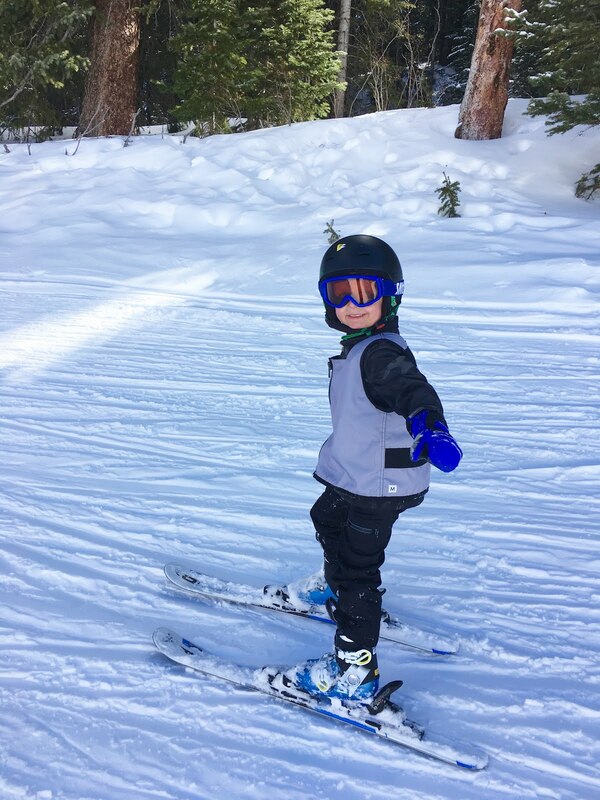 This is the second year we have done private ski lessons for the kids and I would highly recommend that over traditional ski school for several reasons that I wanted to share. Private lessons are done through the ski school, but instead of having a group of 6-8 kids, there are 1-3 kids. 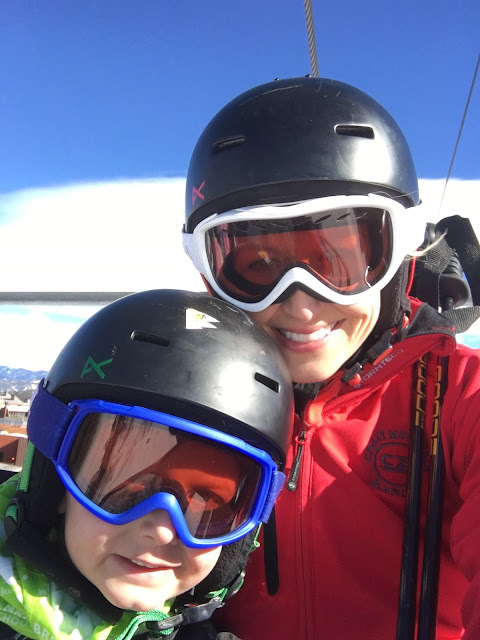 I've had a lot of people ask how my kids learned to ski and what I would recommend so here it goes! 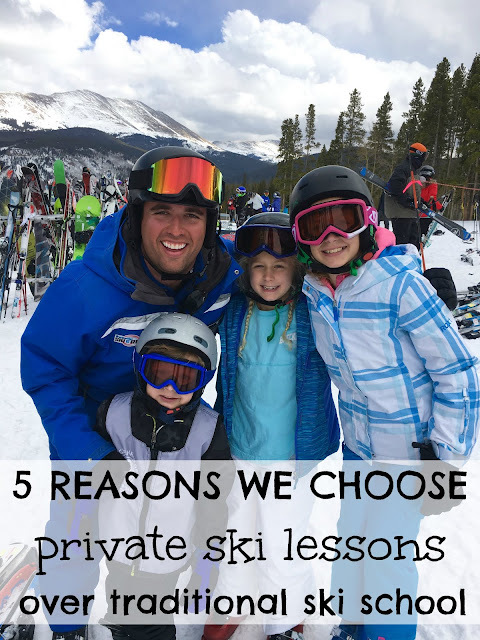 My 5 reasons do do private ski lessons over regular ski school. 1. Private doesn't really mean private. - Private doesn't necessarily have to mean one on one. It depends on where you are taking lessons, but a lot of places offer a "private lesson with up to two friends" meaning it is semi-private. We paid for one coach for all three of our kids and because they all started skiing at the same time (last year) they were all starting on the same level. 2. More one on one attention. - This kind of goes without saying, but in a group lesson obviously the instructor is going to be dividing his attention between all of the kids and this way your kids get the most out of there lesson and as much one-on-one (or one-on-three in our case) attention as possible. 3. Personal relationship. - A smaller learning environment also means that the kids and coaches get to form more of a personal relationship. The coaches get to figure out what motivates each kid, what their style is, and in turn, how to better teach them. After just one morning our coach asked me if Blondie was our most athletic kid. He could tell she loved to go fast, she was fearless and ready to try new skills on her skis. He hit the nail on the head with her and I don't think anyone would have gotten that out of a group lesson. 4. It's not that much more expensive. - Are private lessons expensive? Yes. Are regular ski school lessons expensive? Yes. Overall, skiing is an expensive sport. Between all of the clothing, gear, ski rental, lift tickets. etc. it can really add up, but when you are spending a ton of money for ski school, spending a little bit more for private lessons is totally worth it, in our opinion. 5. You call the shots. - This might be my number one reason for doing private lessons. With regular ski school you drop your kids off at 9 AM and don't see them again until 3 or 3:30 PM. I was not interested in this at all for lots of reasons. Especially last year when Boo-Boo was only 4, I thought that was an awful long time to be away from him or any of the kids really. What if they were cold or not feeling well or just not digging it that day? With private lessons, because it is just your kids and one coach you get to call the shots. You exchange numbers with the instructor and stay in touch as much as you want during the day. We set up a meeting time and place for lunch and ate with our kids and their coach each day. It was a nice way for us to still spend time together as a family, even though we weren't really skiing together on those days. 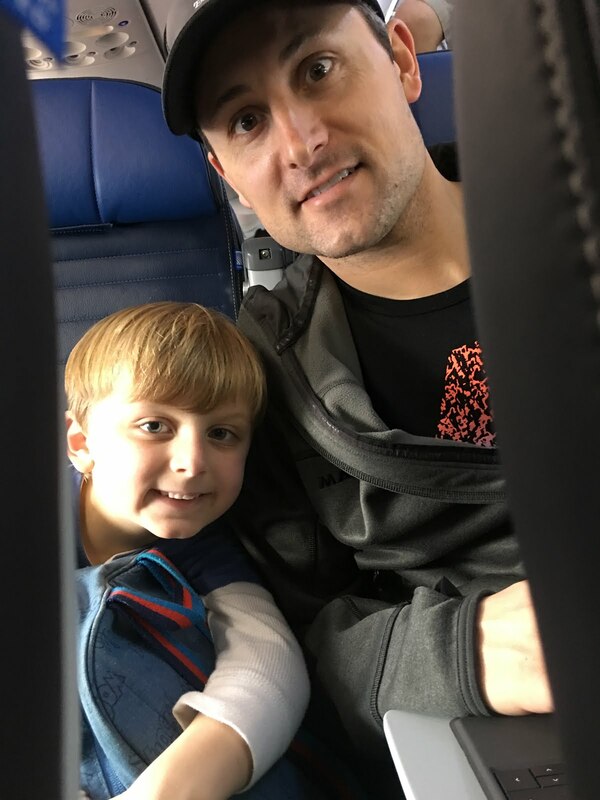 The whole point of these family trips are to spent time together! 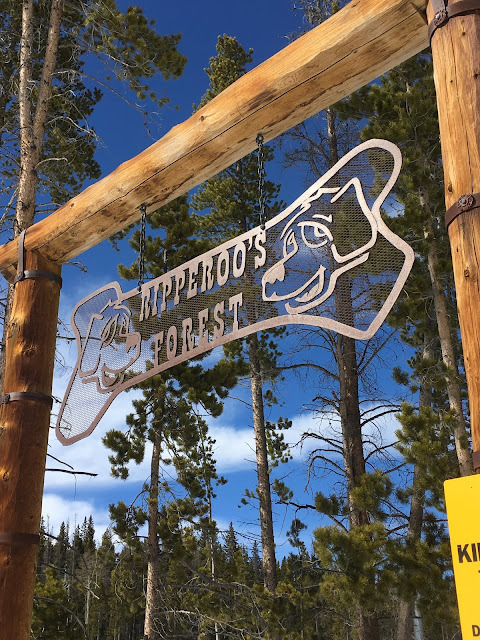 It was great for us to hear how their morning was going and this also gave us a chance to check in with everyone, make sure they were all still having fun, enjoying their time on the mountain and feeling good. If someone was sick or tired or just not wanting to ski more that day, the others could still go on with the instructor. This didn't happen this year, but it did last year. Be sure to check back tomorrow to see more pictures and read more about our trip!